We believe in ultimate’s ability to cultivate outstanding athletes and people. We prioritize character and sportsmanship at the same time that we promote competitive play, athleticism, and fitness. Sol Academy is a monthly program offering youth ultimate training to kids of all ages, experience levels and backgrounds. Our goal, over the course of the year, is to teach the rules, spirit and strategies of ultimate to enable your child's growth. Each month will focus on a different skill, with training geared to every level of player, beginner to elite, including the opportunity to practice that month's skill in a game. Time & Location: 3 hours, one Sunday a month. Check upcoming clinic info. Staff: In addition to directors Stephen Presley and Rachel Yeager, we will have additional coaches - all qualified and experienced members of the ultimate community, most players on elite local teams like Sol, Showdown, Melee, Tuff and others. Cost: $34 as single event - register on our Events page, or purchase a monthly $25 membership. TUSC Premier covers the basics of Ultimate as well as advanced game strategies and skills. Instruction is tailored to the age and experience level of each camper. Daily activities involve multiple sessions of Ultimate as well as swimming, ice cream, games, a camp-wide “tournament,” jersey swaps, and more. 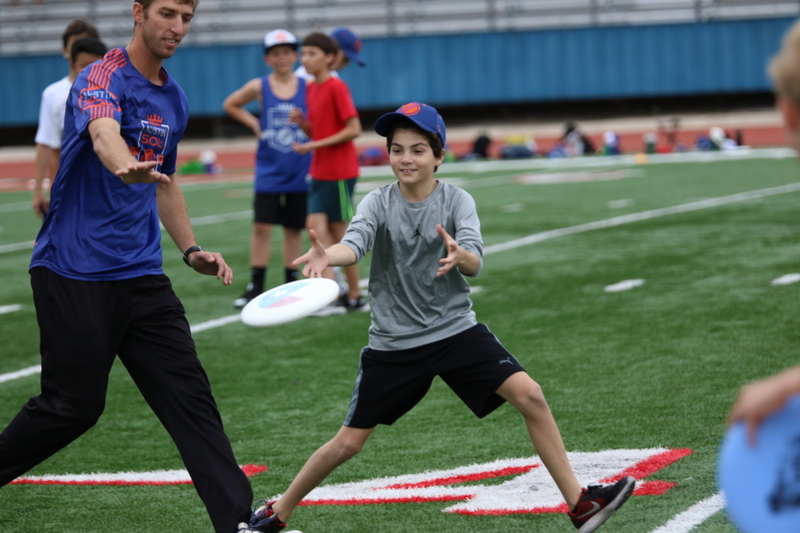 Evening activities for overnight campers may include yard games, elite player Q&As, talent shows, movie nights, and/or a showcase game featuring some of the best Ultimate players in Texas. Read more. TUSC Elite brings together the top players in the country to coach and hone the skills of high school players looking for advanced training. We ensure a safe and fun environment that will push you to be your best. This will be run concurrently with TUSC Premier, but will be restricted to a small number of experienced high school players. Read more. TUSC Junior covers the basics of Ultimate as well as game strategies and skills. Instruction is tailored to the age and experience level of each camper, and beginners are welcome! Daily activities involve multiple sessions of Ultimate skills and drills, scrimmaging, daily snacks, fun summer games, pool time, and more.